“Jukebox” Jamie from Boston Ski + Tennis Gets After It. 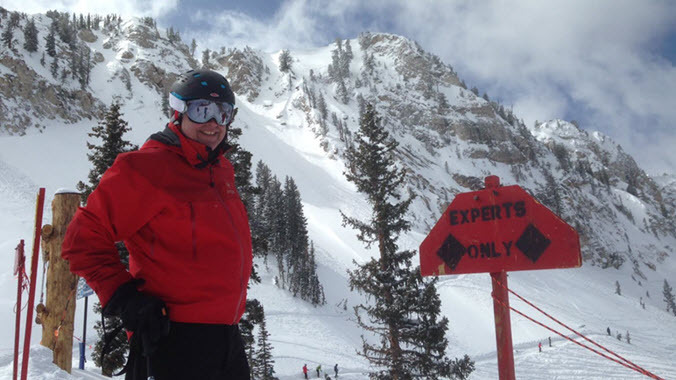 The following is the first of a series of profiles – “Partners Who Inspire” – highlighting friends in the outdoor industries that Kulkea works with, and their businesses. 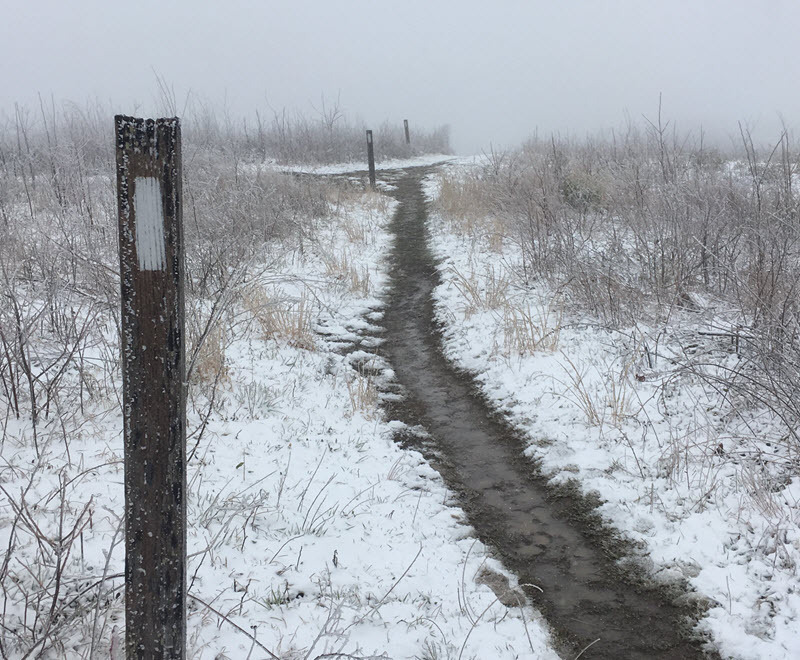 Jamie Worcester’s first night on Georgia’s Springer Mountain in late March, 2018, at the very start of the Appalachian Trail, was a wake-up call. “It snowed our first night,” said Worcester. 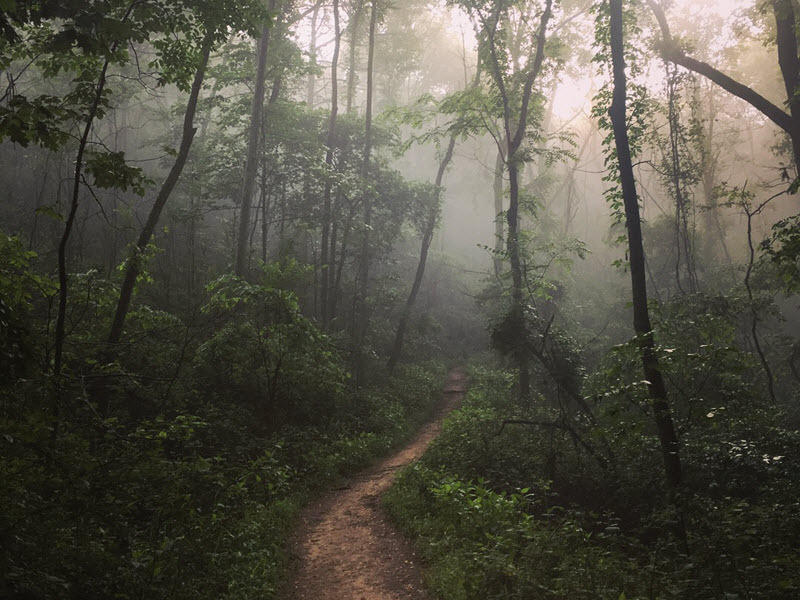 “I had just come from Boston, where we had just gotten a two-foot snowstorm, and I’m hiking up Springer Mountain, on the Approach Trail, which is an extra eight miles, and I’m shedding layers. The 28-year-old Worcester had legitimate cause for concern. 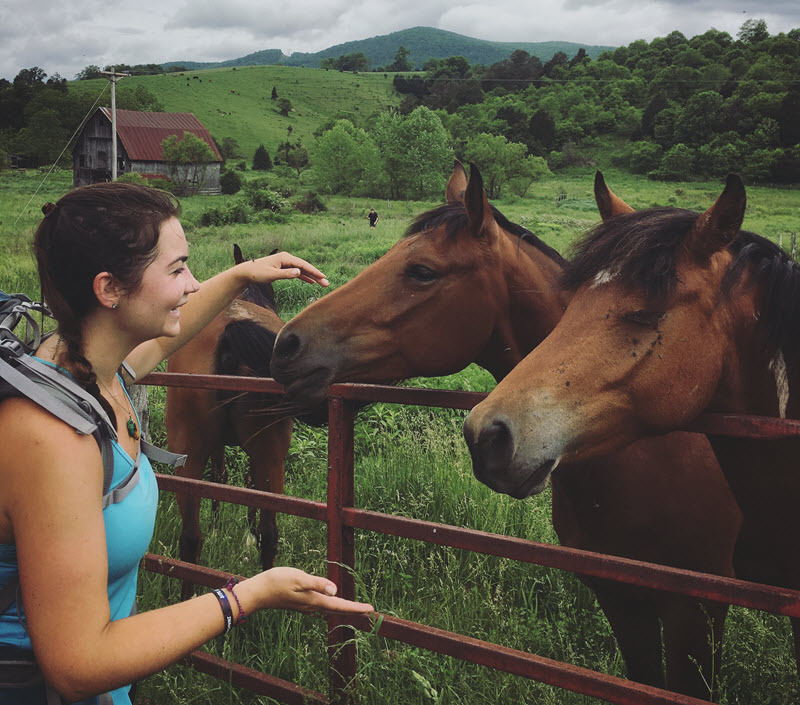 Despite planning to cover the entire 2,200-mile Appalachian Trail, she had very little hiking, or backpacking, experience. She possessed a strong sense of purpose and a steely resolve, but those often wilt in the face of Mother Nature’s ever-changing moods. A native of Connecticut, Worcester had come north to Boston to attend Lesley University in Cambridge. 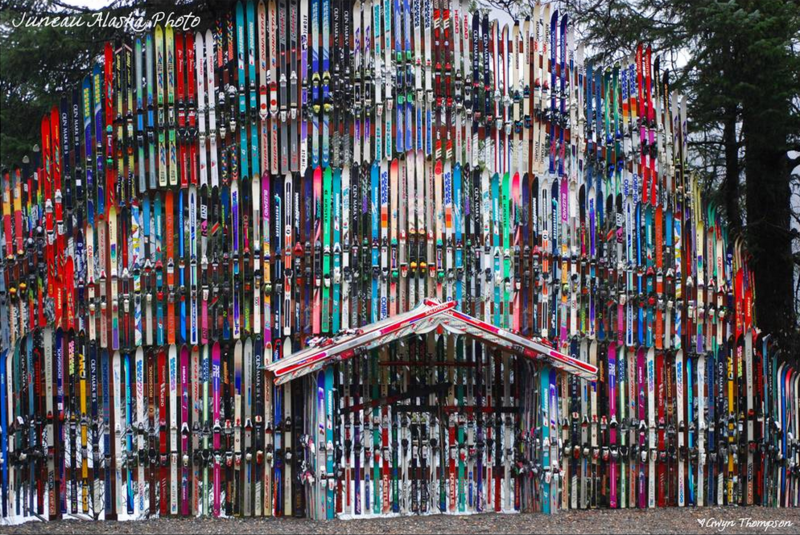 After earning her degree, she headed north to Maine to become a “ski bum” at Sugarloaf, where she “fell in love” with the outdoor industry. Returning to Boston, she took a job at Boston Ski + Tennis, where she eventually became an assistant manager. Though she wasn’t a hiker, per se, Worcester said she started getting restless. That led to an unconventional commitment. Worcester’s first idea proved to be a bit grandiose, but she quickly recalibrated to a more reasonable goal (if a 2,200-mile trek can be considered “reasonable”). “I had originally wanted to hike the Great Wall of China, and then I realized how long that was,” said Worcester, referring to the 3,889-mile structure that is considered one of the “new” 7 Wonders of the World. 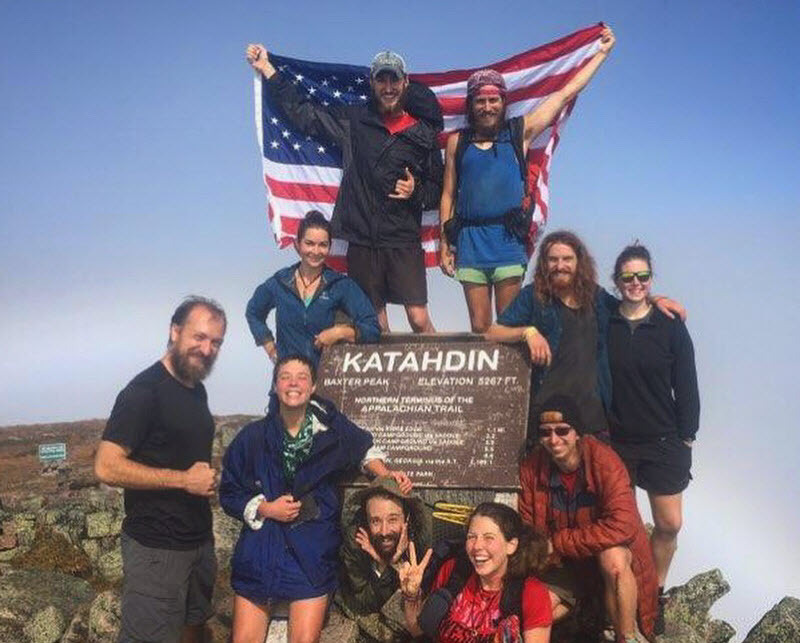 “So I toned it down a little bit and figured, I’ll do the Appalachian Trail. Although she lacked experience, Worcester did have a job that she loved, and was hoping to keep it. 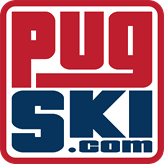 So she approached Paul Harrity, owner of Boston Ski + Tennis, and told him her plans. “And I’ll never forget what he said.’I constantly want my employees to feel challenged, and to challenge themselves in life. And to grow. Whether it’s through my company, or outside my company. If this is your challenge, I’d love to support you on it,’” she said. With her boss’s blessings, Worcester ramped up her planning. In hindsight, she acknowledged that she may have underestimated the effort required, even if she never underestimated her abilities. “I’ve always been very independent,” she said. “I’m the type of person where you can throw me into any situation, and I’ll be resourceful and resilient. So it just sort of came to life really suddenly. So Worcester read blogs, collected the equipment (thanks to her employee discount at Boston Ski + Tennis, she was able to keep those expenses under $1,000), and quizzed trail veterans. 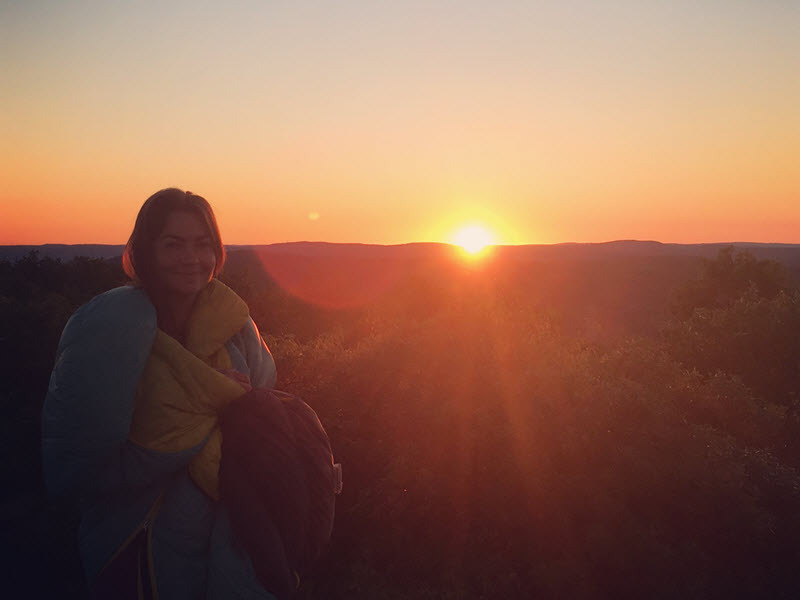 “I had mentally prepared myself that it was all going to be a learning experience, and I had a friend – Russ Piechocinski – who had through hiked a few years ago,” she said. “He was a great resource. I picked his brain non-stop. That, alone in itself, was pretty re-affirming. Or reassuring. 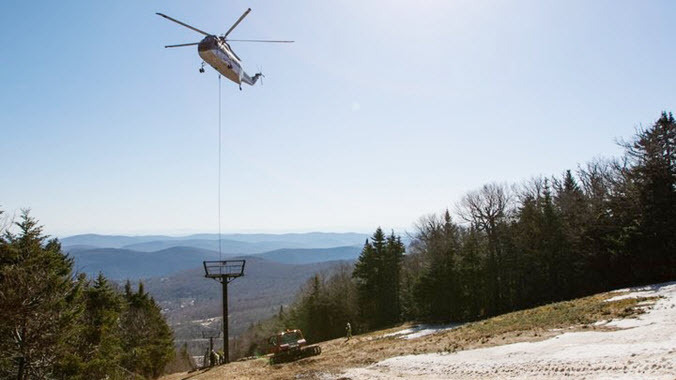 On March 20, Worcester launched her epic undertaking, starting with that frigid overnight sleeping on the snow on Springer Mountain. 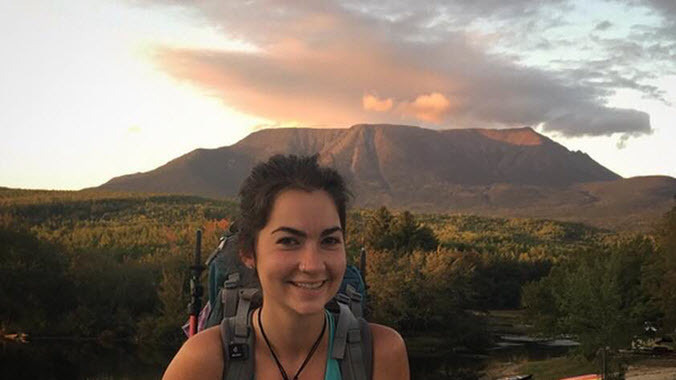 Almost six months to the day later, on Sept. 19, she summited Mount Katahdin in Maine. Worcester had traversed 14 states, averaging between 14 and 15 miles per day. Remarkably, Worcester didn’t suffer a single blister (“Thank god for sock liners,” she said), though she had a few bouts with heat rash and the norovirus. Asked what her biggest surprises were, she laughed. “I know this is going to sound like a shocker, but it’s a lot of walking. It’s a lot of walking,” Worcester said. “My biggest surprises were learning how much you can put up with, how resilient one can be. When I first started, if it was raining, we’d all run for cover. Toward the end, rain was nothing. I’d hike all day in the rain. If the gear got wet, it was no big deal. The 180-day trek presented challenges, both mentally and physically. An estimated 4,000 hikers start the trail every year, yet only one in four finish, said Worcester. Though fit, Worcester found that she couldn’t always keep pace with other hikers. That attitude fit nicely with the resiliency that Worcester knew she brought to the trail. 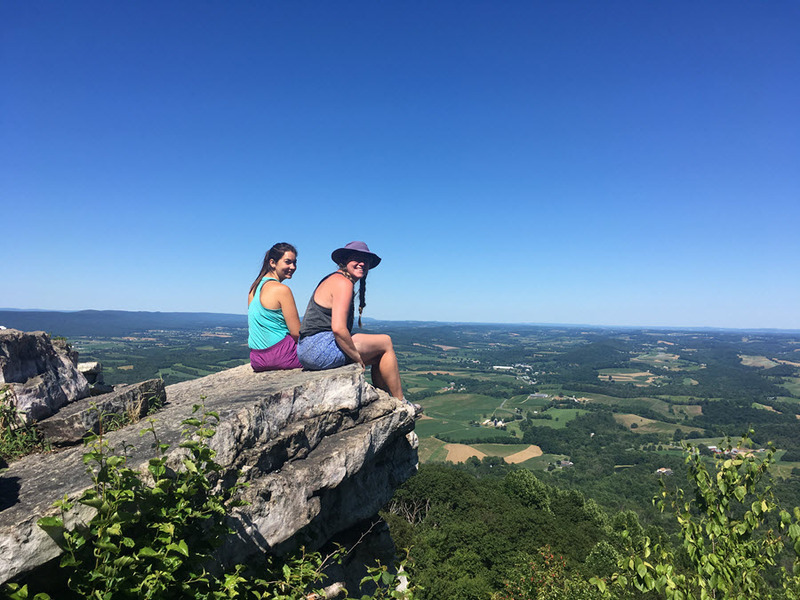 She also discovered the tight-knit community that the Appalachian Trail engenders. That shared esprits de corps, said Worcester, was not just a benefit, but often a necessity. She also was gifted with a staple of Appalachian Trail hikers – a nickname. The name, like Worcester’s resolve, stuck. Though Worcester embarked on her hike alone, she rarely felt lonely. The memories, including breathtaking vistas, spectacular mountains ranges, sunrises and sunsets, are almost too numerous to count. But the Appalachian Trail also gave Worcester a unique perspective into her own character. “I’m more comfortable with myself, more comfortable and open with others,” said Worcester. “I learned how to set goals and work toward them. I learned that there’s so much to explore, and to really not be held back by worry and doubt. Just like Jamie “Jukebox” Worcester. 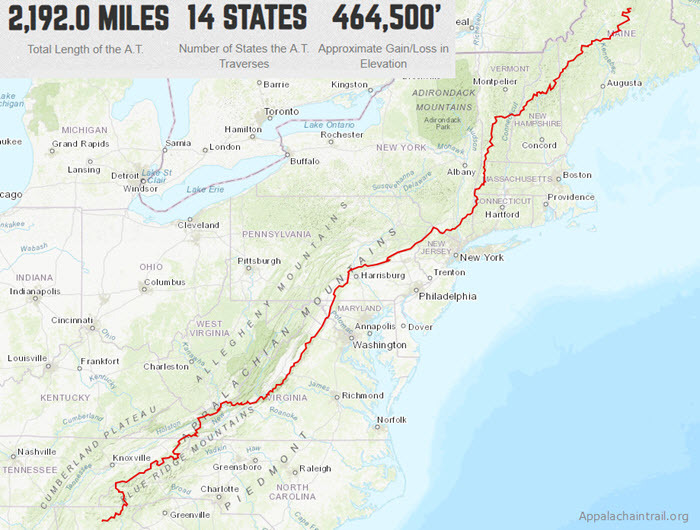 Choose your adventure with the interactive Trail Map of the Appalachian Trail. Special Thanks to the great team at Boston Ski + Tennis. John Egan’s Excellent Adventure to Antarctica. The Allure of Springtime in Ski Country.